The MOOC provider founded by Harvard and MIT, EdX, announced that its open source platform, Open edX, is now available through Amazon Web Services Marketplace. EdX is a nonprofit, open-source learning destination that offers online courses from colleges and universities around the world. Open edX, the open source platform from MOOC provider EdX, is now available for free from the Amazon Web Services (AWS) Marketplace (AWS usage fees apply). The Open edX package available from Amazon will provide a basic version of the platform that can allow educators to create courses for their own online learning communities. It will also connect users with the more than 1,200 courses available on the Open edX platform, including those created by the founders of edX, Harvard University and the Massachusetts Institute of Technology, and other educational institutions interested in offering courses and training. 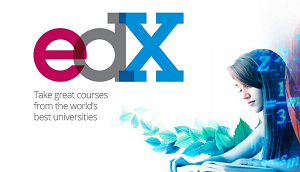 Courses available at edx.org are free and contributed by member organizations. "Now, greater numbers of individuals and institutions will be able to discover and access Open edX, which will help grow our open source community and ultimately accelerate improvements in the platform," said edX Vice President of Product Beth Porter.